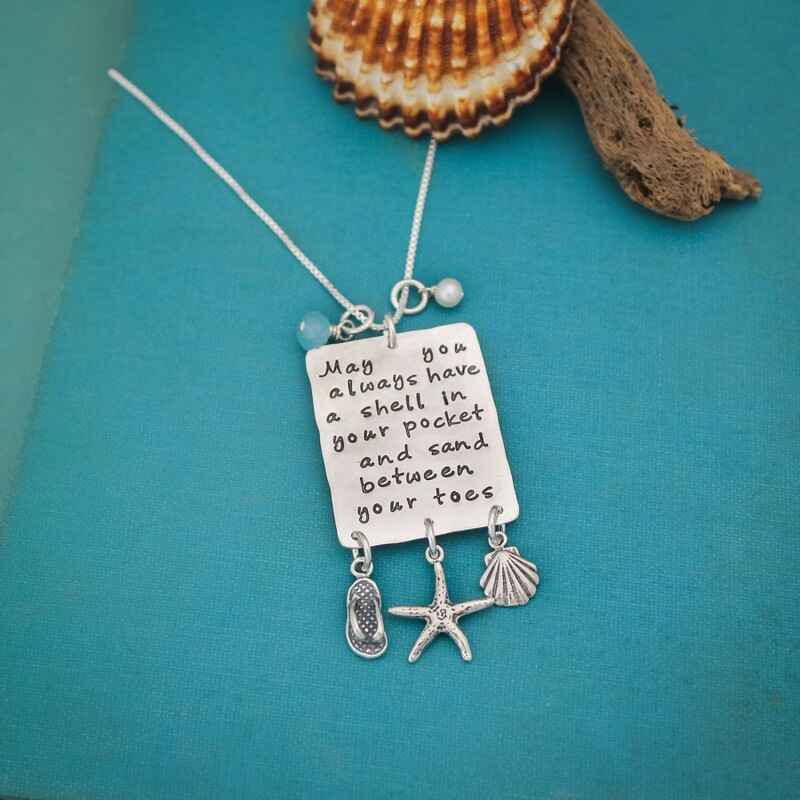 If you love the beach, like I do, this necklace is a must. 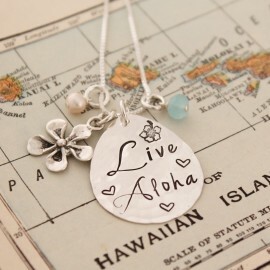 I wear this on a 24" chain and layer with my other hand stamped jewelry. 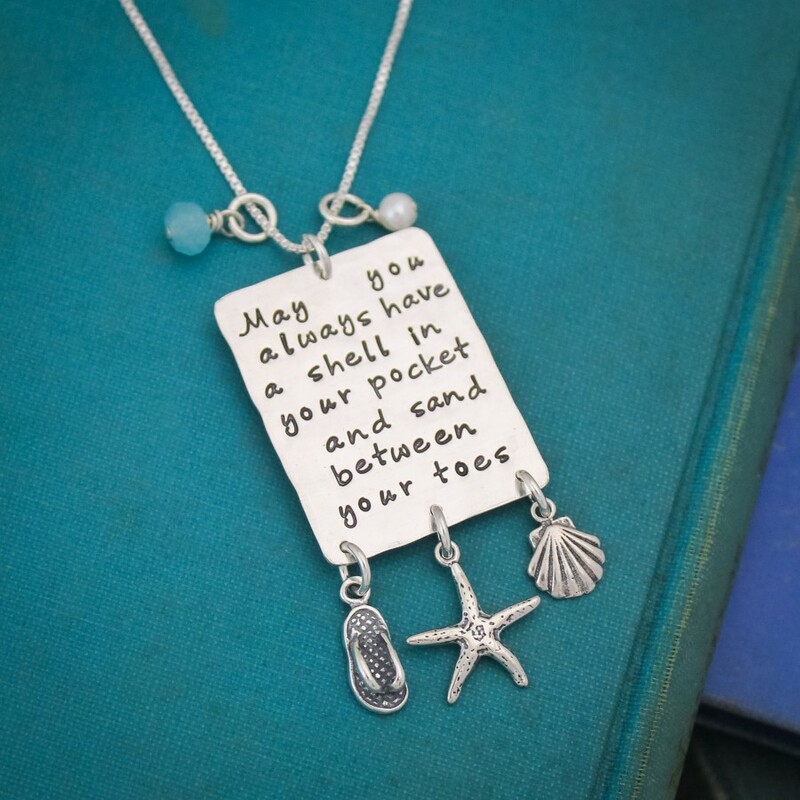 A sterling silver rectangle, 1" by 1-1/4", hand stamped with "May you always have a shell in your pocket and sand between your toes." 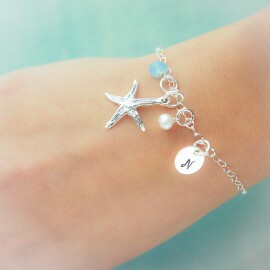 Embellished with a sterling silver slipper charm, shell charm, and beautiful, realistic, sterling silver starfish charm. 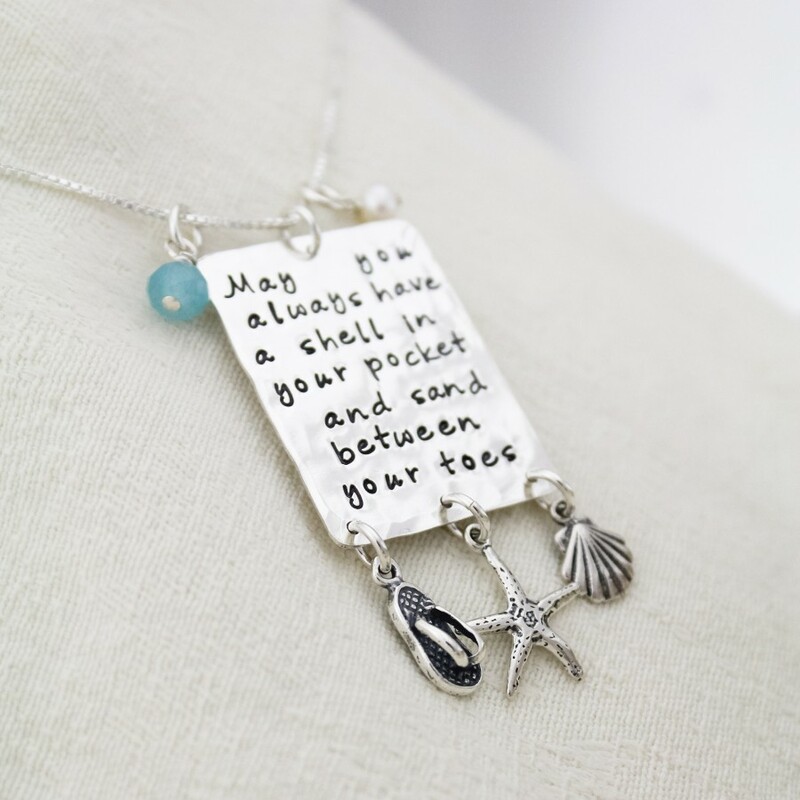 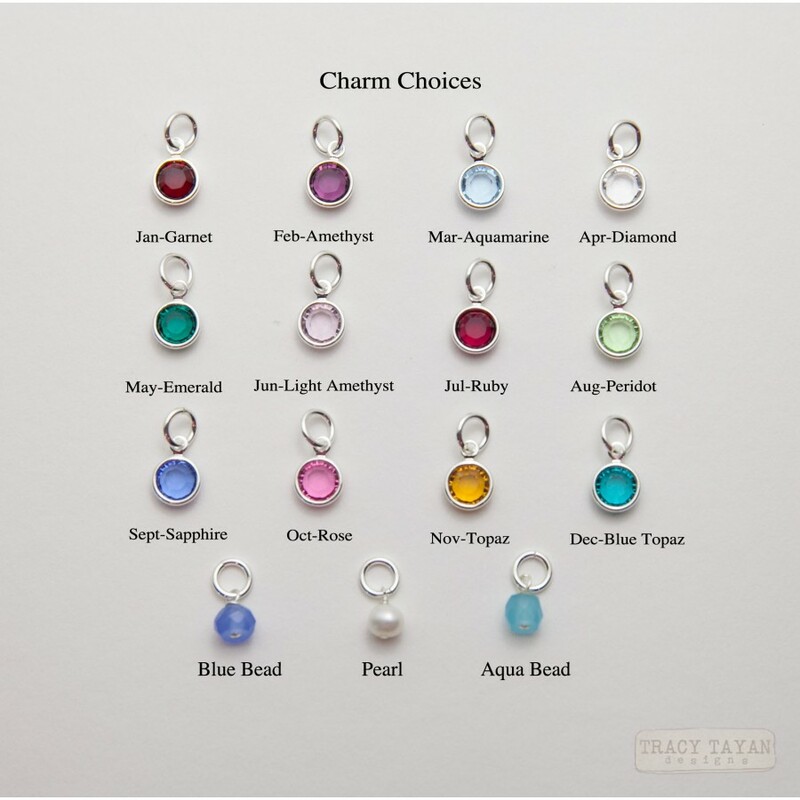 Dangling from a sterling silver chain with sea glass and pearl charms. 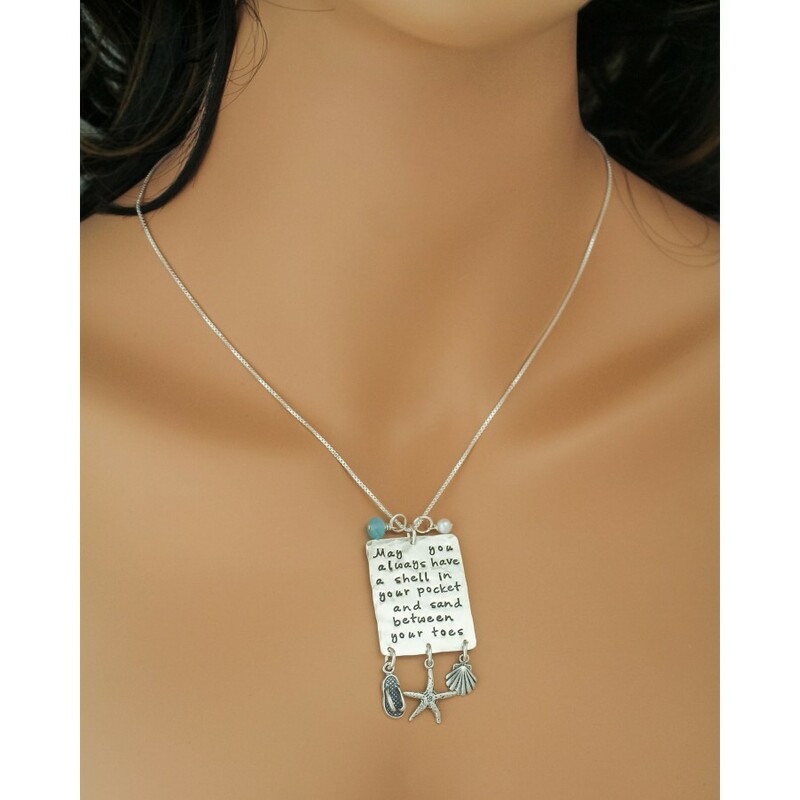 Item is hand stamped with a handwritten angelina font. 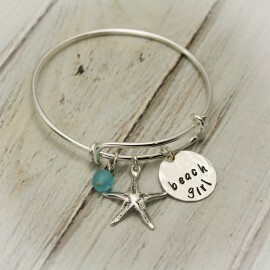 Each item is hand stamped which creates a unique and organic feel. There may be slight variations in spacing because each letter is done individually.